This is one of my core beliefs. I strongly believe that we create our own Karma and when I help/support others I am also helping myself. I will always do all within my power to help someone else. 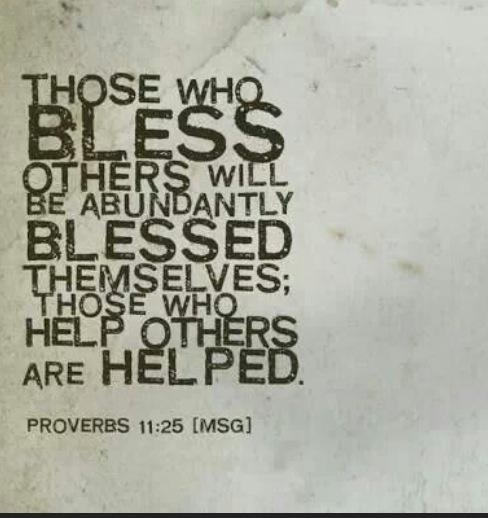 Blessings should be paid forward. It’s not about ME, it’s about US. The success of one should trickle down so that eventually we are ALL successful. Good morning and happy hump day. Stay blessed.